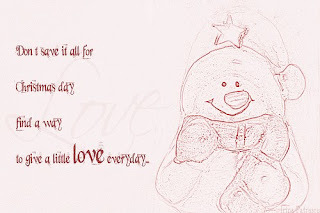 My way of “giving a little love every day” is through words. When I first starting writing years ago, my main focus was Christian fiction. Through Christian fiction, I could create characters that would inspire my readers and warm their souls. Although I still write Christian fiction, I don’t write it as often as I did in the beginning, because my other writing — writing I do to keep the bills paid — keeps me busy. While I do my best to help and inspire through non-fiction as well, I really miss writing Christian fiction stories and novels. So how can I focus more on this genre and still pay the bills? 1. Decrease my clientele. While that would free up some of my time, I still have to pay the bills, and Lord knows I can’t write without electricity. Well, I can, but turning in assignments would be hard to do since 95% of my communication and work is done through the Internet. 2. Cut down on my social networking. In addition to writing for clients, I also spend a lot of time building my brand and building relationships through social networks. Now that I think about it, the best solution would be to cut down on my social networking time. I figure I could use some of my social networking time to write Christian fiction stories and submit them to paying fiction markets. That sounds like the perfect plan, and I wouldn’t lose money! However, I have done some searching for paying fiction markets, and although I’ve come across a few, I haven’t found many. That said, I’m going to have to spend a little time searching for paying fiction markets, and then I’ll begin writing and submitting short Christian fiction stories once I’ve built a list of decent paying fiction markets. Since I’ve discovered the solution to my problem, I’d like to make plans for a future of Christian fiction assignments. Instead of writing lots of non-fiction, I’d love to be able to work for people who pay for Christian fiction stories. If I could find blogs, magazines and electronic publications that wanted a writer to write weekly or monthly fiction columns that would inspire their readers, then I’d be much happier. Don’t get me wrong, I enjoy writing non-fiction, but my biggest passion is Christian fiction. The market, though, doesn’t seem to be as big as my passion. I guess I’ll work my hardest to find those type clients, and if it’s meant to be, the Lord will make sure I get the gigs I really want. In fact, I pray that one day the Lord will bless me with enough book sales that all of my time will be spent writing novels for my readers and the publishers who want my Christian fiction novels. This is not only my prayer, it’s a dream, and one dream that I will continue to work towards. Have you ever missed writing a genre that you love because a great deal of your time was spent making money to pay the bills, and if so, what solution did you come up with? Do you know of any paying fiction markets? Discuss and share your answer(s) in the comments section. Exercise Your Mind With a Great Board Game for Writers! My time on the weekends is dedicated to hubby and the kids, so my writing takes a back seat then. 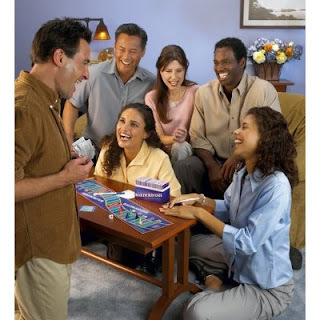 We enjoy fishing, camping, nature walks and croquet, but when we’re having fun inside, we also gather around the dining room table to play board games. One of our favorite board games is Balderdash, and although I don’t work on the weekends, I exercise my mind when we play Balderdash. When we first bought the game and quickly learned how to play, I thought to myself, “This is an excellent game for writers!” Truly, it is. It’s a game writers can enjoy with their family or even take along with them to a writer’s meeting. The game can be hilarious at times, but it also allows a writer to show off their talent, and if your mind’s really creative — and I know it is — you could become the undefeated player of Balderdash. Well, undefeated with your family, because if you play this exciting game with a group of writers, then you can bet you’ll have some tough competition. Either way, I’m 99% sure you’ll fall in love with Balderdash! What makes Balderdash a great choice for writers? Without trying to go into too much detail, I’ll explain a bit about how you play. First, it’s better to play with a minimum of four people. Once you have your group of players, the fun begins! Correct answer: Ask “Are you dead?” three times. The object of the game is to try to fool as many people as you can. In other words, you want them to think you’re answer is the correct answer, so you can move your game piece forward more spaces on the game board. The person who makes it to the finish line first wins. Okay, I just can’t resist. I’m going to use another one of the questions from the Marvelous Movies category, but this time, I’m not going to reveal the correct answer until next week. Instead, I’m going to let you play along, so leave a comment with your best answer to the question. Then when I reveal the true answer here next week, I’ll include your response and even link to your writing-related website, blog, product or service (if you enter one). Ready? Here’s the movie: Mr. Peek-A-Boo. Now, leave a comment and let me know what you think the movie is about. Remember, in the actual game, you’d be trying to fool the other players into thinking yours is the actual answer, so let the brainstorming session begin. For those of you wondering where the writer behind this blog disappeared to, rest assured, I’m still alive and kicking… just extremely busy these past few months. As the title states, I’ve been juggling projects — personal projects and clients’ projects. When I’m not writing content and link building for clients, I’m working on several of my own personal projects, which I hope to complete real soon. Honestly, I’ve not been neglecting y’all. In fact, all this work on my personal projects will benefit you, and then you may be glad that I didn’t blog as often as usual. As you may have already noticed, the Coffee Break for Writers (CBFW) e-zine hasn’t been published for the past two months. Seems my busy schedule delayed another existing project, but so many writers e-mail me to tell me how much they enjoy every issue of CBFW, and that’s why I can’t just let it go. Therefore, I’ve decided to turn CBFW into a niche website for writers. The site will consist of past articles, resources for writers and past Cafe Fun quizzes, word searches, crosswords and word scrambles. In addition to all that, I’ll still add new writing-related articles and continue to pay writers for these. The only change is it won’t be a monthly e-zine anymore. Instead, it will be a website packed with free information for new and veteran writers, and subscribers will be e-mailed when new information is added, and they’ll also still be the first to receive our new calls for writers. Aside from the CBFW niche site, I’ve still been building Best Online Savings and working on a blog that will remain a surprise for now, but I can tell you the secret blog will be inspirational. Now that you know where I’ve been for the past two months, please stayed tuned to Life of a Writer for more news about my writing life, as well as more of my tips for writers. I promise I’ll try not to stay away for so long this time. Since my latest post about oDesk, I’ve been so busy that I’ve neglected this blog and put my first niche website on hold. But that’s okay, because my income is increasing. The better news is the Lord answered another prayer of mine. Read on for more of the story… and again, oDesk is to thank! You see, hubby and I — like many others during these tough times — have been struggling financially. As you all know, my dad has been battling two types of cancer (Lymphoma and Leukemia). Well, a couple weeks ago he came in really sick and his blood pressure kept dropping. My guess is he wasn’t eating well living on his own, so I ended up fixing him something to eat and he began to feel better. Since then, he’s moved in with us so I can make sure he’s taken care of and eats well. In addition to dad living with us, my 22-year-old stepson is still living with us, and I have my three teenagers when they’re not at their dads. The trouble is with just Kevin and me working, it has been hard with an increase on the grocery bill and utilities. Dad’s retired and now on Social Security — all he had for retirement was 401K, which isn’t much. As for my stepson, well, he’s still unemployed. Dad does offer to help us with bills and groceries, and Kevin and I appreciate it, but I hate even asking him to help when he’s on a fixed income and still has to pay a portion of his medical bills, so I try not to accept his offer for help unless we really have to. Anyway, I’ve spent night after night praying for God to bless us with more income so we can take care of everyone and at least have just a little left over to treat ourselves to something nice every now and then. Just a few weeks after I posted Seven Ways to Increase Clients With oDesk, God answered my prayer! He blessed me with two more clients from oDesk, and His blessing allowed me to earn an additional $91.29 this month through oDesk alone, and that income should be more by the end of next month! To some that may not sound like much, but to me, it’s a wonderful blessing! A blessing Kevin and I both needed, and I’m still praying for more. I’m confident that oDesk will continue to increase my clients and income. Honestly, friends, if you’re also struggling financially and looking to increase your clients and writing income, I highly recommend you give oDesk a try. 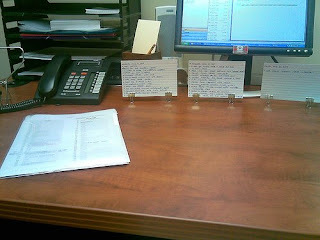 It will work for you if you spend each day searching through the jobs and apply the advice I shared in my latest post. The advice I shared is exactly what I’ve done since I joined oDesk in July of 2008. Since that time, I’ve earned over $500 already, and that doesn’t even include the income I earn outside of oDesk. I’ll continue to keep you informed about my oDesk experience here, but if you’d like to know more or want to interview me for your writing-related publication, website or blog, feel free to contact me; please send all interview requests to media@mistisandefur.com and put “Interview Request for Misti Sandefur” in the subject line. I’d be honored to share my experience and/or advice with your readers, or even talk about how I use faith and prayer throughout my writing career! 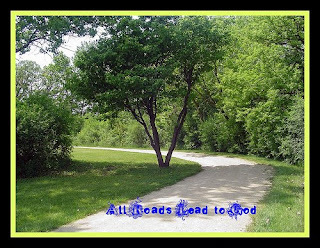 Until my next post, take care and may all your prayers receive an answer! Before I continue on with my actual topic today, I’d like to send a big cyber hug to Michelle Kafka. While I was searching the Web for one of my previously published articles yesterday (to use as a clip for a writing job I applied to), I came across a blog post on Wow! Women on Writing that had a comment from Michelle. I was pleased when I read that her inspiration to start a portfolio came from me, so thank you so much for the mention, Michelle! Before I go to sleep, I always say my prayers. As I’m praying, I ask God to bless me with words that will inspire my readers when I sit down to write an article, short story or novel. That said, when I stumble upon kind words expressed about me from my readers and read how I’ve inspired or helped them, it shows me that the Lord answered my prayer once again. Just reading that I’m an inspiration to Michelle and others motivates me and lifts my spirits! I know I’m doing my job right when someone such as Michelle sees me as an inspiration and/or emails me to let me know how I’ve helped or inspired them through my writing. Thanks again, Michelle! You made my night, and I’m so glad that I was able to inspire you. I hope that my writing and blog will continue to encourage you throughout the years. May the Lord answer all your prayers and bless you with an abundance of success! Submit articles to trade magazines, start a blog, create and distribute a free e-zine… those are just a few of the ways writers can increase their experience on an area of expertise. Another way is to create a niche website in the area of expertise they want to build upon. Not only will a niche website help you gain knowledge on the topic you wish to write about, but it could bring in more income for you if you implement Adsense and experiment with affiliate marketing. While you’re creating fresh content for your niche website and earning income, too, you’ll also be gaining clips to show to potential clients who need a writer on that topic. Just link to a few of your clips, and if they click on the links to view your writing style and voice on the topic, they’ll also discover your entire website, and it could land you the writing job. I’ve managed to gain several clips related to a few of my specialties, but I don’t have very many clips on some of the topics I write about. The downfall to this is I’m unable to show potential clients and editors my true knowledge on the topic if I’ve not written on it much. Well, no more! I’ve had plans to build a niche website on one of the topics I enjoy writing on for a while now. However, I have been so busy with other things that I’ve not found the time to begin work on that site. What’s the topic? Frugal living! Throughout this upcoming site, I’ll help families save money by offering frugal shopping advice, money-saving tips, debt reduction advice and a whole lot more! I’m excited about this project, and, of course, I invite you to check it out once it’s born. I’ll be announcing the site’s birth here, on Twitter and in my Christian author newsletter and on my Facebook page. Do you have a niche website you update with content to increase your experience on an area of expertise that you’ve neglected? If so, what’s the topic, how has the website helped you, and do you have any advice to share on building and/or marketing your writing services with niche websites? Back when I first signed up for oDesk I didn’t know if they’d really help me gain new clients, but today I’m happy to report that thanks to oDesk I’ve been able to increase my clients. Not only have I gained new clients through oDesk, but I’ve gained friendly clients who have been great to work for. The clients that oDesk has blessed me with have been very helpful and provide great instructions, and this, my fellow writer friends, is something we all want with clients. I’m sure you’re wondering how you, too, can increase your clients, and since I enjoy helping others, I’m going to share a few tips with you. These are the things I do to increase clients with oDesk. Remember, oDesk guarantees payment on all hourly jobs! 1. Check writing job listings daily. If you don’t want to visit the oDesk site on a daily basis, you can subscribe to be notified of new listings via e-mail, or use the search feature on your left to search for the jobs you want, and then subscribe to the RSS feeds for each search you perform. 2. Apply for jobs that only pay by the hour. This guarantees that you’ll be paid for your time and work. 3. Create and save a pre-written cover letter on your hard or flash drive. Then when you run across a writing job you want to apply for, edit your pre-written cover letter to match the writing job your applying for, and then follow oDesk’s steps to submit that cover letter to the potential client. 4. Use your best clips on your oDesk profile,and update every so often with more recent clips. 5. Post your resume on your oDesk profile, along with any client testimonials. 6. Follow up with potential clients who requested an interview but never got back to you. 7. Take the free oDesk skills tests, and when you score high, make the results public so potential clients can see you really do have the experience you say you have. While oDesk has been making improvements, there are still a few things I believe they could improve. For one, if you’re writing in Microsoft Word or researching (reading through information), the software that tracks providers’ hours doesn’t always log the time as “online.” Instead, it logs it as “offline,” and pay for “offline” time is not guaranteed. I guess it logs it as “offline” time because it considers you idle since you’re just reading and not typing. That said, if oDesk could improve this, it would be great! Finally, there’s no guaranteed payment for fixed-price jobs. Personally, I don’t understand how oDesk can guarantee their providers payment on hourly jobs and not fixed-price jobs. Although I’m already grateful to oDesk, they would earn my respect more if they’d change this policy. Rest assured that this won’t be my last post about my success with oDesk, because I plan to continue sharing my oDesk experience with you. To stay up-to-date with my oDesk experience, subscribe to my full RSS feeds or opt-in to receive free updates via e-mail. Do you use oDesk to increase clients? Feel free to share your oDesk experience in the comments area. This past week I’ve been busy juggling my time between clients and a new blog. When I’ve not been writing articles, blog posts and television recaps for clients, I’ve been spending my free time searching through WordPress themes for a new blog that I’m getting ready to launch. After two days of searching for just the right theme — which I never really discovered (I found one to modify instead) — I headed to my Web host to install WordPress. Then I spent the last two days (including this afternoon) learning WordPress 2.7, downloading and editing WordPress plugins for my theme, and getting the blog ready to launch. I must say, I’m really enjoying WordPress. I’ve worked with older versions of WordPress for clients, but this was my first time experimenting with WordPress 2.7. In fact, I’m seriously considering moving Life of a Writer over to WordPress. Yes, I’ve said this in the past and then stewed about it, but this time I think I’m going to make the move, once things slow down a bit. I really love the plugins and features that WordPress has to offer, and I’m ready to give Life of a Writer its own domain anyway. Furthermore, having my blog on WordPress will allow me to optimize it better for search engines. I tell ya, WordPress is a lot like Twitter: very addictive. How would you like to be the first to get a sneak peek at my upcoming blog? No, you won’t actually get to head over and view it, because it’s not ready for that yet, but I will share a screenshot of the theme I finally decided on — and I’d love to hear your thoughts about the theme (below). Oh, one last thing, For Better or Worse (the title of my upcoming blog), will be about married life — my married life, of course. I’ll be rambling about my life as a wife, work-at-home mom and stepmom. I’ll also share relationship advice for men and women, plus a whole lot more. 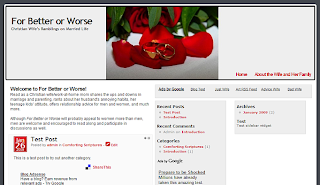 Yep, through this blog, you get a glimpse into my life as a writer and learn from my mistakes, and once For Better or Worse is live, you’ll get a glimpse of my married life, too. It should be interesting, especially when I rant about my husband’s annoying habits, my teenagers’ attitudes and more. A sneak peek just for you! I think I’ll head back over to WordPress to do some more work on For Better or Worse. Until next time, may God bless you with an abundance of engaging words! 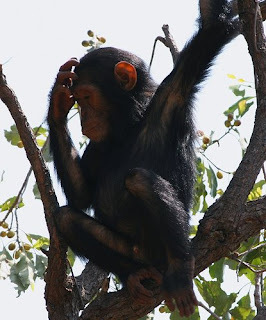 Right now I’m debating with myself about planning a little time off from my hectic writing schedule. Mind you, I just finished the last task on my aforementioned writing schedule, so I haven’t had any sleep yet. Nevertheless, what good would it do to cuddle up next to hubby on this cold winter night and try to sleep? Honestly, none whatsoever, because I would just gaze at the ceiling as I try to decide if it would be a good idea to clear my hectic schedule so I can complete and launch a couple personal projects that I have planned for this new year. Oh yes, did I forget to mention that one of those personal projects was among my writing goals for 2008 that I never got around to working on. Okay, I confess, I believe I wrote a few pages of the fiction story I was working on for that project, but it ended up on the back burner with everything else due to time constraints. Anyway, I’d love to finish and launch the project I started last year, and then I’d like to finish up my plans for the new blog that I promised myself I’d launch this year. However, in order to do all of this, I’ve determined that I’m going to need to devote all of my time to these projects. Moreover, if I decide to clear my writing schedule, I need to decide how much time I need for both projects. Okay, I’ve decided that I will take some time off from my hectic writing schedule, but how much time will I need. I figure I can complete and launch both projects in a month’s time, but I wonder if that will be too long to put everything else aside. Maybe I should go with two weeks instead, but I’m not one-hundred percent sure if that would give me enough time to complete the projects. One month or two weeks? I guess I’ll ponder that question a while longer and let you know my decision when I figure it out. In case you’re wondering — especially if you’re one of my clients and reading this right now — I will NOT, I repeat, will NOT leave my clients unsatisfied and risk my entire writing career for these personal projects. Once I decide how long I’ll need to tackle the projects, I’ll write all the content for my clients in advance. As for my blogs, I’ll write that content in advance as well, and then I’ll schedule it for advance publication. Since I do have one client whom I write a recap for, my schedule won’t be totally clear. The two television shows I write the recaps on airs a day apart, so I’ll watch those shows and write the recaps for the client. Once I’ve submitted the recaps, I’ll return to the personal projects. That shouldn’t be so bad, should it? Have you ever had a personal project or two that was long overdue, but you couldn’t seem to complete them because of a hectic writing schedule? If so, how did you solve the dilemma? It’s no secret that we all tend to procrastinate to take our minds off writing for a few hours. Usually when I delayed my writing to give my brain a rest, I read my favorite writing blogs, took a shower or went for walk, but these past few days I procrastinated way too long as I entertained myself with a new video game that the kids received for Christmas. 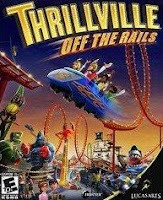 Yes, I’ll admit it, I’ve spent several hours on my kids’ Play Station 2 (another Christmas gift) playing Thrillville: Off The Rails . I made the mistake of watching the kids play the video game after opening their gifts Christmas morning, and I thought it was interesting. 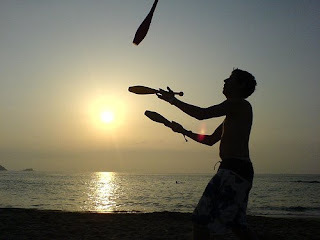 Then, before I knew it, I joined in the fun and became addicted to the game. I should have left it alone. I knew better, but I just couldn’t resist, and now the kids laugh at me. “Mom’s addicted to the Playstation,” they say. “It looks like you’ll have to take turns with your mom now,” my husband told them. It’s been years since I’ve sat down and played video games, so it’s actually been fun and refreshing. Problem is I have to pull myself away in order to get back to my writing. This isn’t as hard to do when all the kids are here, though, because when everyone wants to play, we each get an hour. Once my hour’s up, I go back to writing. What happens when the kids aren’t here or don’t want to play? Well, let’s just say I need some strong super glue to keep me in front of my work and away from the video game. The good news: once I return to my laptop, I’m ready to write again. Who knows, I may become addicted to more of their video games and end up writing about video games, too. Of course, then I’d be paid for my time spent procrastinating. Dad was released from the hospital Saturday and spent the night with us. Although he was still a bit weak, he looked 100% better and said he felt great. I can’t begin to tell you what a blessing it is to see dad back to his old self again. So thanks to everyone who prayed and we ask that you continue to pray. In the coming weeks and new year, Dad will undergo chemotherapy and radiation treatments for the Lymphoma and Leukemia, but he’s assured us he’ll be around for a while to still “pester” us. In fact, he said the Lord had His reasons for keeping him here on Earth for a while longer, and I’m so glad the Lord has given us more time with dad, especially during the holidays. The cancer has spread throughout dad’s body, but the latest test results revealed that it had not spread to his brain. We’re thankful for this bit of good news and pray that the cancer won’t reach his brain. The confusion and hallucinations came from lack of oxygen and not what everyone feared, so again, we’re thankful. Since dad’s back home and doing better, I’ll be back to writing and blogging. There will be times when I have to take dad to the doctor as well as to his treatments, but I’m pretty certain I can manage that and write too. Besides, I’ve missed writing and look forward to getting back to it. I had dusted off some personal projects that I was working on before dad’s illness, so I’ll be returning to those as well. It seems like everytime I dust off the personal projects and start planning more projects for the future to launch, something always goes wrong that causes a bigger delay. However, I’m thankful this delay didn’t last as long as I feared it would. I’ll let you go now so I can get back to writing, and no matter what your resolutions and goals are for the New Year, make your number one resolution or goal to tell your loved ones how much you love them and what they mean to you, and then top it off with a gigantic hug! You never know what tomorrow will bring, so make this the number one priority on your list of New Year’s resolutions and/or goals. May you and yours have a wonderful holidays and a blessed New Year!